Maternal mortality rate has nearly doubled in Texas after family planning budget cuts. Maternal mortality is a growing problem in the U.S.
Whatever the cause of Texas’ rising maternal mortality rate, the numbers are devastating. The rate ticked up only slightly between 2006 and 2010, from 18.1 deaths per 100,000 live births to 18.6 deaths, according to the Obstetrics and Gynecology study. It leapt to 33 per 100,000 in 2011, and in 2014, the last year covered in the study, it was 35.8 per 100,000. Put another way: In 2010, 72 women died from complications related to pregnancy or childbirth in the state of Texas. In 2012, that number was a staggering 148 women. 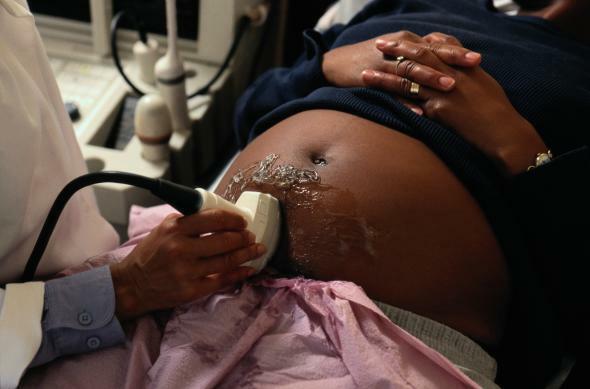 Though Texas is an outlier, maternal mortality is a growing problem for the U.S. in general. The study, which analyzed national data, found that the rate of deaths per 100,000 live births for 48 states and the District of Columbia—excluding Texas and California, which the researchers considered separately—“increased by 26.6 percent, from 18.8 in 2000 to 23.8 in 2014.” The U.S is one of the only countries in the world where the problem of maternal mortality is getting worse, not better. (California has seen a decline, from a rate of 21.5 per 100,000 in 2003 to 15.1 per 100,000 in 2014, in part due to “concerted efforts,” including a statewide review in 2006 and coordinated “quality improvement initiatives,” as the study notes.) In comparison, the World Health Organization puts the average maternal mortality rate in developed countries at 12 deaths per 100,000 live births. The number of pregnancy-related deaths in the U.S. is “a national embarrassment,” Eugene Declercq, a professor of community health sciences at the Boston University School of Public Health and one of the study’s authors, told Boston’s WBUR radio station. “Our rates are comparable to Iran, the Ukraine, and Russia, not countries we generally want to compare out health outcomes to.” Texas, for its part, established a task force in 2013 to study pregnancy-related deaths; it’s due to make its first set of recommendations in September. The task force hasn’t yet hinted at the contents of its report, but common sense suggests that replenishing the millions of dollars in funding the state has drained from women’s health clinics might be a good start. Correction, Aug. 19, 2016: This article originally misstated the population that experienced a 27 percent increase in birth rate according to a UT Austin study. The increase applied to injectable contraceptive users, not all contraceptive users who used Planned Parenthood clinics.